Dr. Mona Sandhu developed and launched “Project Eyecare”, an outreach program where they volunteer to provide free vision screenings, including vision testing as well as limited ocular health testing to those members of our community in need who do not have access to eye care and cannot afford eyeglasses. To date, they have done 4 clinics, one at a women’s shelter and 3 at a homeless charity organization, Night Shift Street Ministries. They have done over 50 screenings and provided 45 complete pair of glasses to those who needed them. 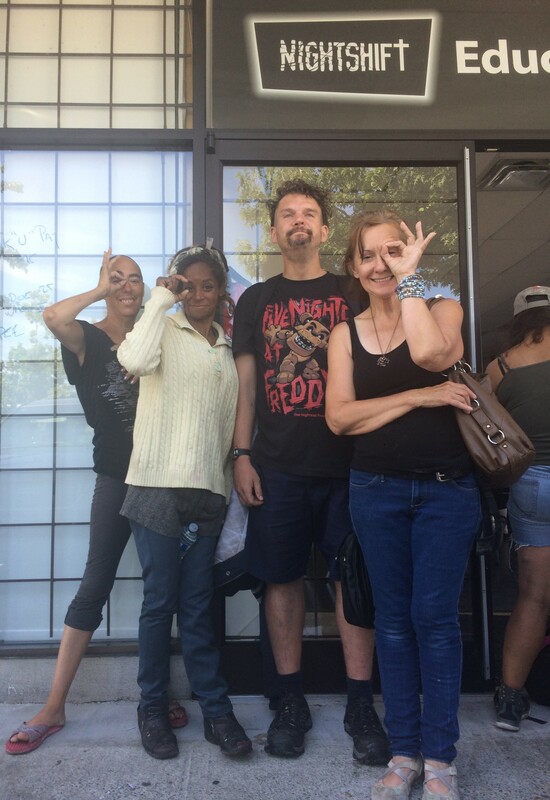 People lined up outside the building to see the eye doctor at these clinics, some people graciously shared a bit of their stories, and how important the vision testing is to their day-to-day lives. Homeless for about five months due to lack of affordable, low barrier housing, “Zoe” has glaucoma. Adding to the fear and stress of living in a tent, her eye condition means she cannot see in the dark, or make out shadows and shapes. 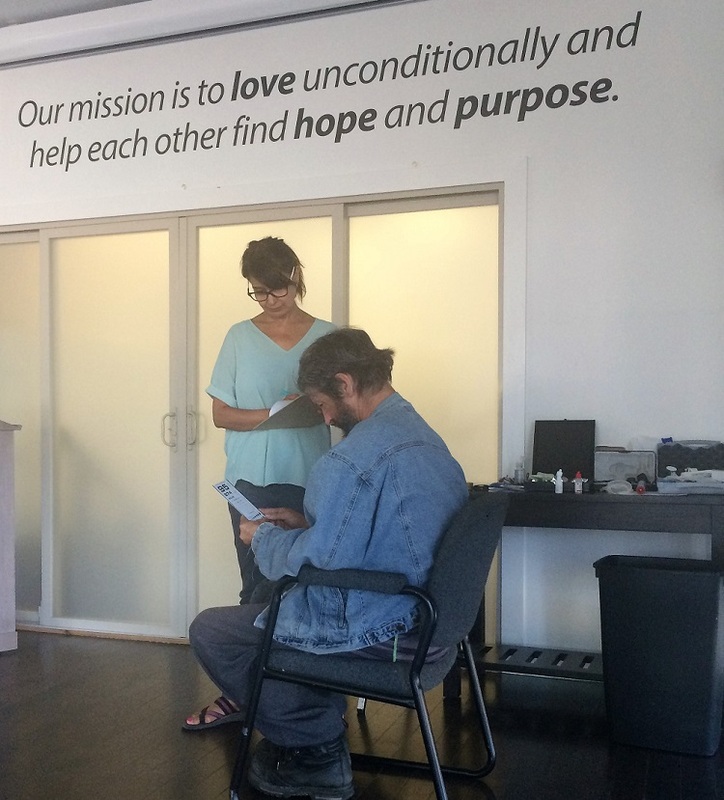 NightShift Street Ministries was deeply touched and humbled to partner with optometrist, Dr. Mona Sandhu of Clayton Heights Optometry, in providing free vision testing to marginalized people in the Whalley neighbourhood. Together with Dr. Sandhu and her team, NightShift was able to bring a little bit of “clarity” to people in difficult life situations.